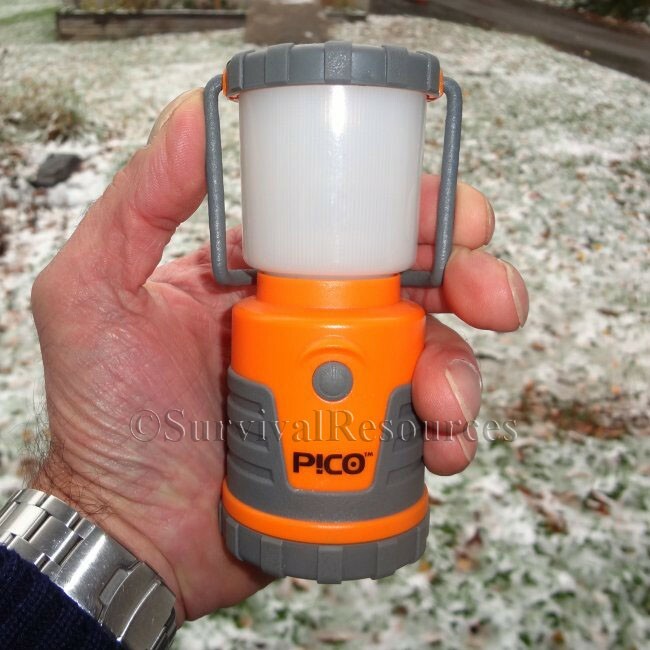 The UST PICO™ LED Lantern is a great little natern for the field or for your home in an emergency. The PICO™ Lantern is a bright, clean light with up to 123 lumens. It runs 91 hours continuously on Low and runs 22 hours continuously on High. The rubberized housing enhances impact resistance and is water resistant. 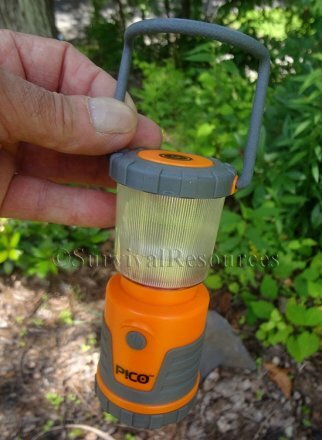 The top globe can be removed so the lantern can be used as an area light or flashlight. It has a top bail that folds down alongside the lantern when not in use, and a recessed hook on the bottom so the lantern can be hung for a "down light" option. It has three lighting modes: High, Low, and SOS Flashing. A lifetime LED is unbreakable and never needs to be replaced. 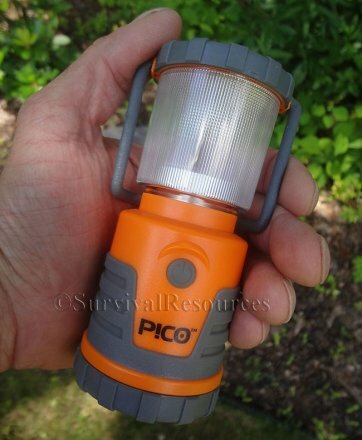 The lantern is made of high-impact ABS plastic with a rubberized housing. It uses 4-AA batteries (not included). 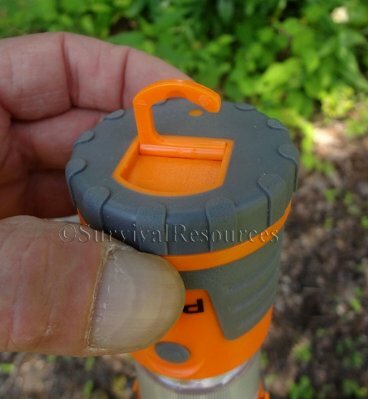 It measures 5.25" tall, 2.75" wide on the side where the bail lays, and 2.25 where it doesn't. It weighs 5.3 oz. 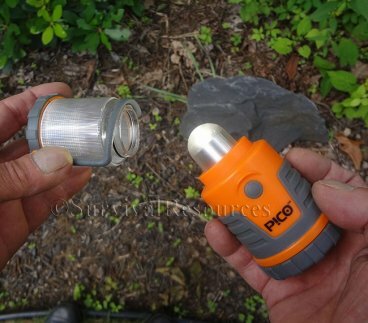 without batteries and 9.3 oz. with batteries. Color: Orange with Gray.